As a number of conservative organizations and lawmakers on Capitol Hill vocally speak out against the White House proposal to repeal and replace Obamacare, President Trump plans to sell the newly introduced American Health Care Act [AHCA] directly to skeptics. Wednesday night Trump will host former campaign rival Senator Ted Cruz and his wife Heidi at the White House for dinner. Cruz, a longtime opponent of Obamacare, has expressed the need to fully repeal the healthcare legislation before replacement. Conservatives argue the current bill fails to do so. Republican Senator Mike Lee, who works closely with Cruz on major issues of principle, said yesterday the AHCA misses the opportunity to fulfill campaign promises for better healthcare coverage. “This is exactly the type of back-room dealing and rushed process that we criticized Democrats for and it is not what we promised the American people," he continued." Before the President sits down with Cruz, he will host a number of conservative lawmakers at the White House for a round table discussion Wednesday afternoon. The list of attendees will be released later today. According to Press Secretary Sean Spicer, Trump is in "sell mode," but is open to new ideas or changes and negotiations on the current bill. "It is a starting point. It’s going through regular order in the house and so part of that process is that it goes through the committee markup hearing both with ways and means and the house energy commerce committee. That by its very nature allows for input from both of those committees and then ultimately on the floor, before it moves over to the senate and the senate goes through a similar process," Spicer said. "We’re proud of the input that we’ve received from governors, from senators, from individuals, association, companies, and we feel very proud of the work that is encapsulated in this bill and the results that it’ll yield. 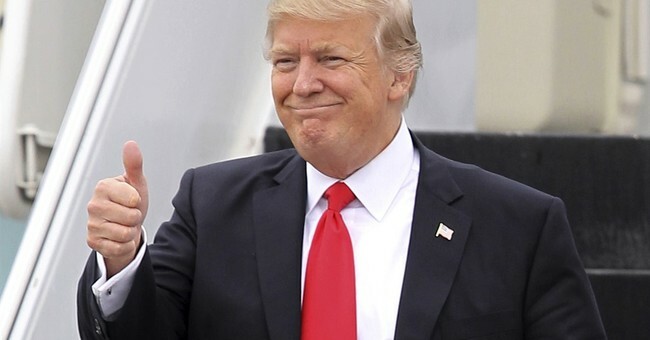 That being said, I think the president understands as a business man that if someone’s got a really good idea then he’s going to listen to it and if he can be part of the process to help make something better, there’s nothing that’s going to preclude that, we have been very open to listening to people. We’re very proud of it, we’re going to go out, as I said, in full sail mode. But if there’s an idea that comes across, we’re going to entertain that to make it clear." The Congressional Budget Office is expected to release a score on the cost of the AHCA next week.